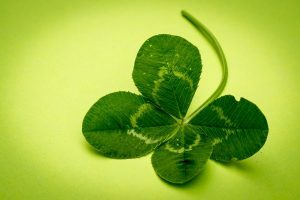 “Are you lucky?” is a question that I’ve been asked many times. Recently I watched a show about time travel and as I went to bed that night I couldn’t help think about the events that led up to me being me. I realized that from the beginning of time that like a cosmic pinball machine , there were billions and trillions of connections and disconnections that ultimately led up to two people meeting and giving me a chance at a race where the odds of me winning were 200 million two 1! From the stage I have shared that I believe that we have already won the lottery three times. First, that we are winners by the mere fact that we were born. Second, that we we’re born at this point in time in history, where there is more opportunity than ever before. Third, that we are born in a country where we have options and opportunities that we can act on that will determine our own personal destinies. The three basic elements of your winnings are time, money and energy. Most often we are asked how we will spend our time, money and energy. However I would like to exchange the word spend to the word invest. When we spend an asset it’s gone, but when we invest an asset we expect a return on our investment. Spending can often be a quick decision, while making an investment takes planning. What do I want in return for my investment of time? Examples: building memories with your family and friends, sitting on a beach relaxing and just “Being”, participating in a charity and making a difference in someone’s life, building a business. What do I want in return for my investment of money? Examples: early-retirement, supporting elderly parents, college funding for grandchildren, travel. What do I want in return for my investment of energy? Examples: physically fit, actively participating with your children and grandchildren, long productive life. Your options are endless, but they have to be yours. One of my Gary-isms is “life is a solo journey traveled with many”. The returns of your investment need to be personally energizing and meaningful to you. Here is the last question that makes this process work. What do you need to stop and change where you “spend” your time, money and energy now? This can be difficult, however to achieve different results it’s necessary to change our current habits. In the end I promise it will be worth it. My challenge to you is to invest in yourself and answer those three questions. The inscription that I write in one of my books is: Your Paying the Price Today for a Priceless Tomorrow! It’s never too late- your destiny is yours to design!